Turns out, progressive politics isn’t always a good predictor of gender parity in leadership according to a survey of almost 45,000 executives from DiscoverOrg. 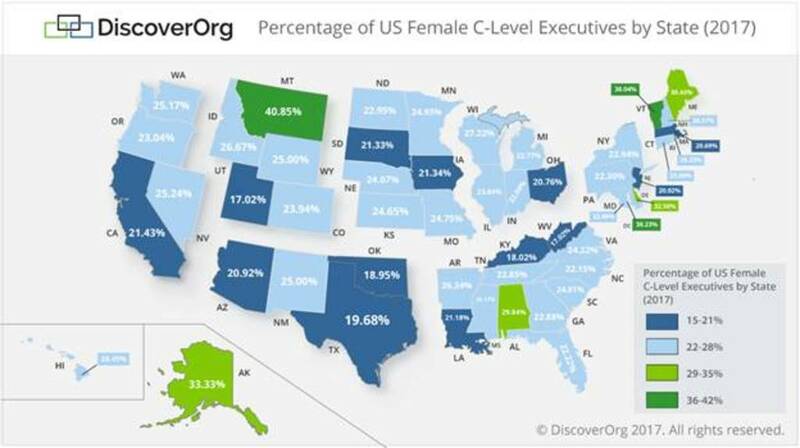 While the national average for women execs is around 24%, conservative Montana has just over 40% of women executives, and Alaska, which also has the highest male population in the U.S. comes in at 33.3%. In contrast, California maybe one of only three states with a paid leave law, but it only has 21% women execs.